Renowned furniture upcycling specialist Joanne Condon is bringing her expertise to Waterford. Joanne, author of ‘Furniture Crush’, will host a free demonstration on creating cushions, bunting and lampshade kits at Home Focus, Waterford Retail Park, this Friday 2nd November at 5.30pm. Home Focus will provide all the materials used at the event. 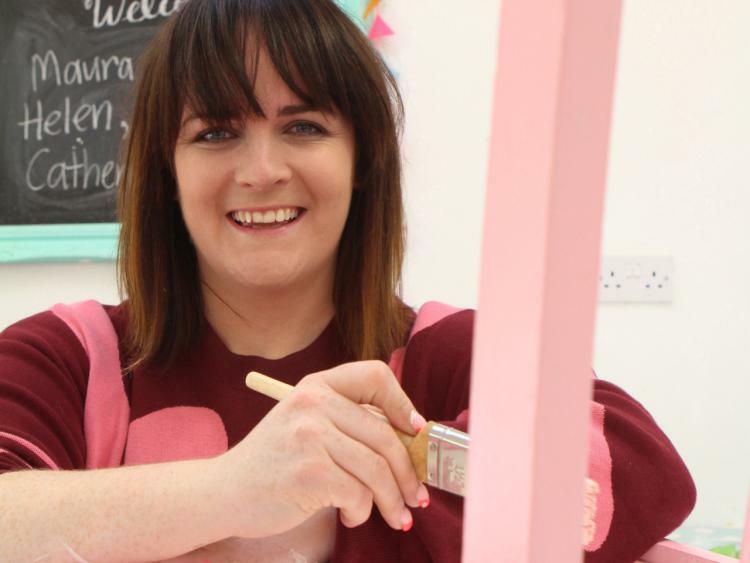 Joanne is a Tipperary-based qualified artist and art teacher with a passion for colour, who runs the Kyle Lane upcycling business. She is an expert in soft furnishing and painted furniture, and teaches workshops to share her enthusiasm. Award-winning Joanne has appeared on RTÉ television’s Nationwide and has made numerous radio appearances. A magazine columnist and podcaster, she has emerged as one of Ireland’s leading home decor mentors. “People shouldn’t waste time creating with their fingers crossed,” said Joanne. There will be refreshments and promotions at Home Focus as well the fascinating demonstration on the best techniques to create cushions, bunting and lampshades.